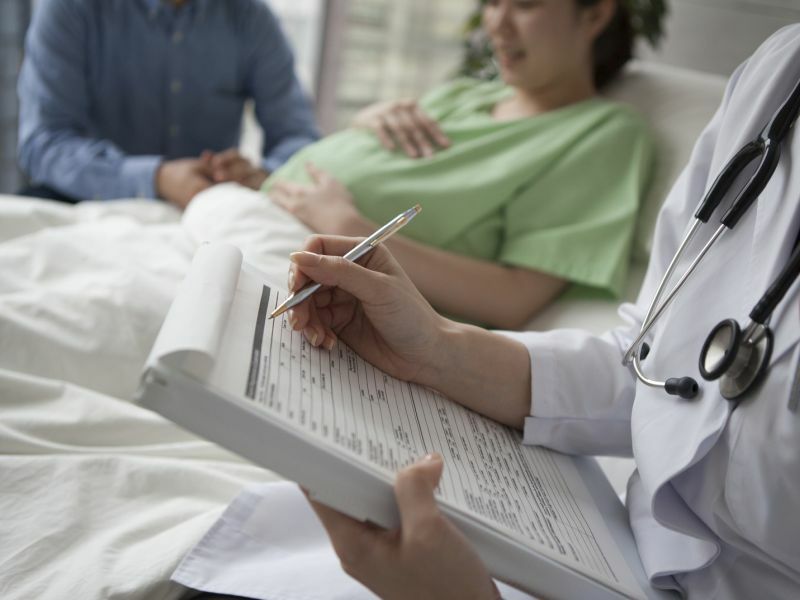 WEDNESDAY, Aug. 8, 2018 -- Inducing labor at 39 weeks may decrease the risk of cesarean section, according to a study published in the Aug. 9 issue of the New England Journal of Medicine. William A. Grobman, M.D., from Northwestern University in Chicago, and colleagues randomly assigned low-risk nulliparous women who were at 38 weeks 0 days to 38 weeks 6 days of gestation to either labor induction at 39 weeks 0 days to 39 weeks 4 days (3,062 patients) or expectant management (3,044 patients). The researchers identified a composite of perinatal death or severe neonatal complications in 4.3 percent of neonates in the induction group and 5.4 percent in the expectant-management group (relative risk, 0.80; 95 percent confidence interval, 0.64 to 1.00; P > 0.049). The induction group had a significantly lower frequency of cesarean delivery than the expectant-management group (18.6 versus 22.2 percent; relative risk, 0.84; 95 percent confidence interval, 0.76 to 0.93; P < 0.001). Women assigned to the induction group were also significantly less likely to have hypertensive disorders of pregnancy compared to women in the expectant-management group (9.1 versus 14.1 percent; relative risk, 0.64; 95 percent confidence interval, 0.56 to 0.74; P < 0.001). "These results suggest that policies aimed at the avoidance of elective labor induction among low-risk nulliparous women at 39 weeks of gestation are unlikely to reduce the rate of cesarean delivery on a population level," the authors write. "The trial provides information that can be incorporated into discussions that rely on principles of shared decision making."